Retention Manager enables you to keep your electronic content systems synchronized with your records retention policies. Content Management Systems (CMS) provide many record indexing and management functions. 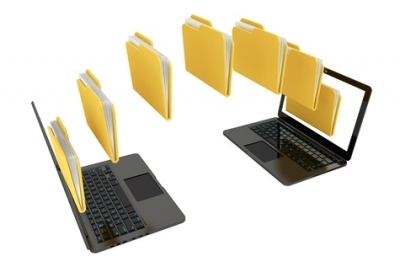 Electronic Document Management System (EDMS) software is capabile of applying retention rules to electronic records for destruction according to procedures defined in the records retention schedule. CMS systems require retention schedules, based on current legal research, to integrate making the records retention functionality compliant and resilient to high-cost discovery risk. Retention Manager enables you to export your current retention schedule, with record series descriptions and retention information, to most major content management systems. Information Requirements Clearinghouse (IRCH) works with multiple major software publishers whose products are used to manage electronic record data through a business enterprise. Retention Manager provides the legal requirements, i.e., the basis for legal defensibility of Enterprise retention schedules. Retention Manager is a complementary system to EDMS products, greatly enhancing the value to potential customers. The combination of your EDMS product and Retention Manager empowers customer confidence using the EDMS system/Retention Manager combination to more effectively manage records risk in the enterprise. If your content management system is not listed below, please contact us for a certification documentation kit for CMS, EDMS and ERM integration of Retention Manager. Please contact us for a certification documentation kit for CMS and EDMS integration of Retention Manager. Let us know how we can help.